Our topic this term is called What a Wonderful World. In this project the children will learn: About the locations of the ‘Wonders of the World’, including the countries that they are located in and about their geographical, historical and cultural significance. 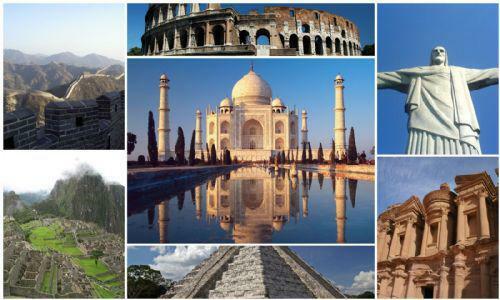 About different categories of wonders of the world including the natural, ancient and modern world. How to use maps, plans, data and information to find out about a range of places. How to write narrative stories in a range of settings. How to use geographical and historical knowledge in a creative way. How to use multimedia and ICT to present information. We were introduced to our new topic called 'What a Wonderful World'. We have found out about the 7 Ancient, Modern and Natural Wonders of the World and located them on maps of the world. In Language this term we will be looking at the works of Charles Dickens and William Shakespeare. Miss Francis' language class have been acting out the roles of Ebenezer Scrooge and Bob Cratchit and debating whether or not Christmas should be cancelled!! We have been busy using different sources to research interesting facts about the 7 ancient, modern and natural wonders of the world. The children have also looked in depth at how tourism can have both a positive and negative impact on the natural wonder, The Great Barrier Reef. In our language lessons we have been looking at features of a good story and using our new skills and knowledge to rewrite some famous story tales. Last half term our topic was called Scream Machine. Look below to see all the great things we did! by creating their own concept roller coasters. We investigated our school pond and looked for wildlife. We watched videos of rollercoasters to introduce us to our new topic and went to the park to investigate forces. Click the links below to see all the fun things we have done! Year 6 have written lots of poems, please see our poetry page! 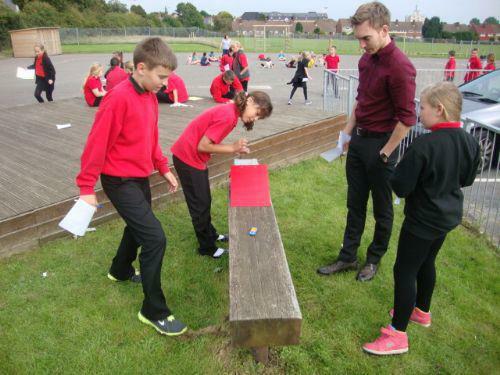 We have carried out experiments in our Topic Scream machine including testing surfaces to see which created the most friction. We have also been learning songs for our Harvest Assembly on October 18th. Click on the link below and check out our poetry writing! Year 6 have been very busy preparing for their special 'Harvest Assembly' that will take place on Friday, 18th of October at 2.15pm. We have looked at persuasive techniques and features within writing and Year 6 have been busy writing letters giving for and against arguments on different topics. Keep checking the folders below for some great examples of these letters! Year 6 have become roller coaster designers! We used simulators on the computers to create our own rollercoasters (Click on the link below to have a go at home!). We also had lots of fun using our knowledge of forces to design and make our own roller coaster models in the classroom.